Scenery of the Tushar Mountains along the Paiute 01 after we connected to it from Paiute 02 West coming out of Marysvale. We're now near the pass by Mount Belknap, and this is the highest elevation in the Paiute Trail system (over 11,000 feet). The pictures were taken in late August and snow is still present. 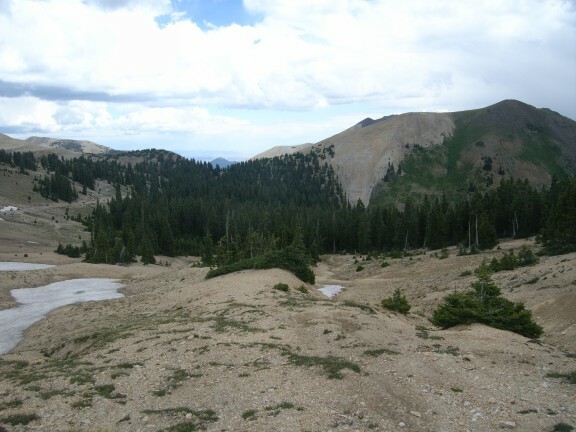 The pass often stays closed until late August, due to snow.